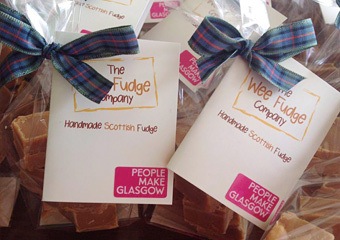 Every batch of fudge is handmade to order so as a general rule we don’t retail individual bags online. 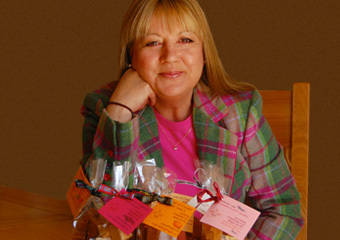 To buy some please see our partners page. 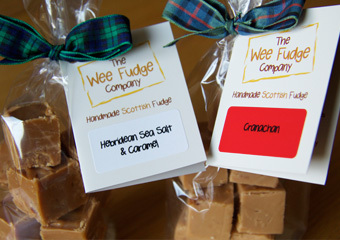 Our products are stocked in some of the best speciality food and wine stores and delicatessens in Scotland. 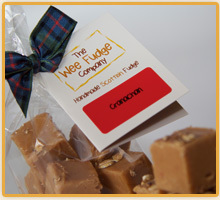 To meet us and buy from us direct you will find us at a number of events during the year and regularly at the Clarkston Farmers Market on the 4th Saturday of each month . 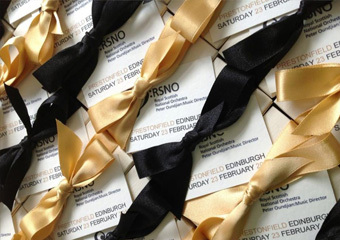 We are happy to accept commissions for bespoke packages for celebrations and corporate clients. Just drop us a note! 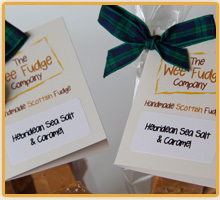 Our flavours to delight you include Naked, Madagascan Vanilla, Maple, Belgian Milk Chocolate, Mocha , Fresh Raspberry & White Chocolate, Belgian Milk Chocolate with Valencian Orange Oil, White Chocolate with Sicilian Lemon, Strawberry and White Chocolate, Hebridean Sea Salt & Caramel, Cranachan and other limited editions. We are constantly experimenting, innovating and expanding our range and work with partners to create signature flavours. 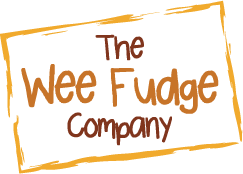 Our aim is simply to produce the best handmade Scottish fudge you will ever experience! 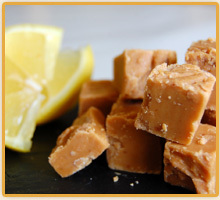 We are on a mission to make the best use of the wealth of ingredients that Scotland’s larder has to offer, incorporating them into innovative and very special fudges. We promise that all of our products are completely free from artificial additives, preservatives and colourings and gimmicks! 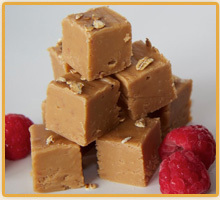 What you see on the label is what you taste…authentic and delicious!